What is MagMAX CORE and how does it impact producers? 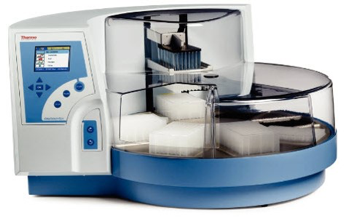 MagMAX CORE is a magnetic bead-based sample preparation kit for diagnostic laboratories that can be used with the widest range of diagnostic samples. It consists of a robust core chemistry that couples easily with modules to increase flexibility in choice of diagnostic samples. 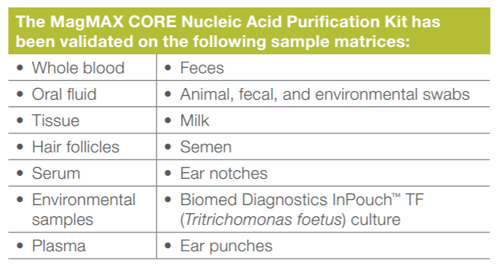 The core chemistry has built a sample preparation process that extracts very high quality nucleic acids which provide the best possible sample when moving into the diagnostics portion of the workflow. 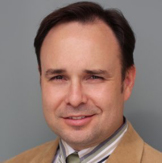 This helps to ensure the lab's results are accurate and actionable. Having a high level of confidence in the workflow, the equipment and the chemistry means knowing it’s a true positive or a true negative. Producers often must make economically important decisions for their operations based on diagnostics results, so accuracy is critical. 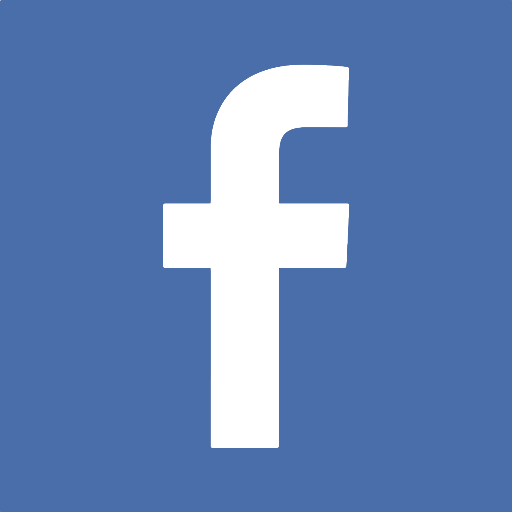 How does MagMAX CORE perform in the laboratory? 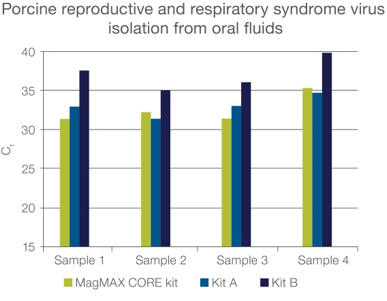 Thermo Fisher has conducted validation studies in their laboratories in Austin, Texas and Lyon, France comparing MagMAX CORE to two recognized sample prep kits on the market. 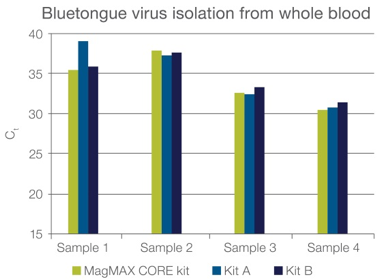 The studies indicated MagMAX CORE provides better or equivalent results across 14 unique matrices. MagMAX CORE produced earlier cycle time (Ct) results in a qPCR workflow than other kits on the market, suggesting the MagMAX CORE kit extracts nucleic acids more efficiently compared to the other kits tested. 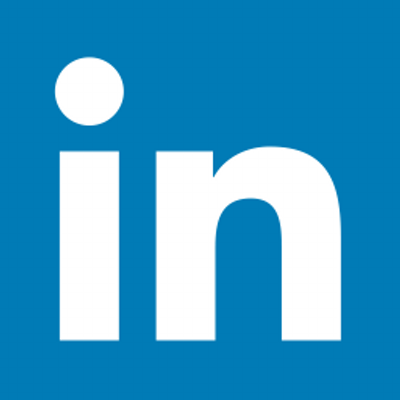 This results in greater sensitivity while allowing for faster processing times. What unique benefits does MagMAX CORE offer laboratories? Thermo Fisher’s R&D teams are developing MagMAX CORE modules that can easily be incorporated into the core chemistry, helping to ensure the kit is not just for today’s needs but for future needs like next generation sequencing.